Myrtle Beach and the Grand Strand boast more than 100 golf courses to delight visitors and locals alike. With so many options available why would you not want to spend time on one of the top 50 golf resorts in the United States? Located just minutes from all the activity of Myrtle Beach in Calabash, North Carolina, Brunswick Plantation and Golf Resort delivers a beautiful and tranquil environment where enthusiasts can enjoy fantastic golf. Brunswick Plantation and Golf Resort was designed by architect Clyde Johnston and boasts 27 holes divided into the Azalea, Dogwood and Magnolia courses. Each of these courses offers a unique golfing experience enjoyable to golfers of all experience levels. Enjoy a rousing round of golf on 1,700 beautifully landscaped acres. The Magnolia Course will take you back to the Scottish origins of the sport. This course has extensive mounding, large sand and grass bunkers and water hazards on three holes to challenge golfers. The Magnolia Course has a course rating of 73.2 and a slope of 135. Dogwood Course is nestled along the Caw Caw Creek and among stately hardwood trees. This course has an open design in a picturesque landscape that includes an island green on hole six. Dogwood Course has a rating of 73.8 and a slope of 132. The final course at Brunswick Plantation and Golf Resort, Azalea, is carved into thick woodlands delivering a tranquil spot to enjoy a round of golf. Many of the holes on Azalea Course have water hazards, offering a challenge for every experience level. Azalea Course has a rating of 73.2. 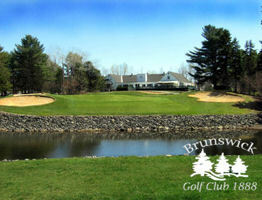 Brunswick Plantation and Golf Resort offers more than just amazing golf courses. You can also enjoy a scrumptious meal at the 19th Hole. Grab an omelet before your tee time or a tasty lunch after you finish to celebrate a perfect round. Brunswick Plantation and Golf Resort offers all that you need if you want to get away for an amazing Myrtle Beach golf vacation. If you are visiting the area and simply want to spend some time on a beautiful and amazing golf course you should definitely make time to play a round at Brunswick Plantation and Golf Resort. These golf courses are definitely a step above the rest. Course was AWESOME! Fun layout and course was in GREAT shape! Highly recommend playing here!! had a good day, going to apply for a rangers job. This is a beautiful course that is tough yet very fun. Awesome clubhouse and the facilities are top notch. A great place to play golf. Loved it so much, we bought a condo there! Golf course was in great shape. Very slow playing. Don't play on Thursday's behind women's league. It was horrible. HORRIBLE!!! Been several times before - it was good - but this time they stuck me in a small condo and then lied to my face. They tried to tell me all condo’s were the same size. I looked it up on their web site. They stuck me in a condo 200 sq ft smaller and then tried to convince me - I was wrong. Charged me the same price as a larger one. The staff in the office - were rude - and condescending- I don’t recommend this place to anyone. I used to - but - never again. Clean, comfortable pleasent for the entire family. Proces for condo rental are very reasonable. Golf course is in better shape than any of the four other courses we played. The bunkers at all local courses are in bad shape due to the number and severity of rainstorms in July this year. called ahead to check on conditions ... Ben in pro shop said good overall We specifically wanted to know about greens speed , he said greens were rolling an 11, we got there and greens were SUPER slow.. So he told a bold faced lie!!!! avoid this place !!!! Walking into the efficiency condo is like walking into the mid '70s Whirlpool tub didn't work. Even though it was mid March golf course was mediocre at best. Pro shop had more empty clothes racks than anything. The bar was good and the lady that took care of us was very pleasant. The food was good. Appears as though there's some restructuring going on. Grounds were nicely landscaped. More than one couple we had talked to were disappointed in the accommodations. Wouldn't recommend. Myrtle Beach and the Grand Strand boast more than 100 golf courses to delight visitors and locals alike.